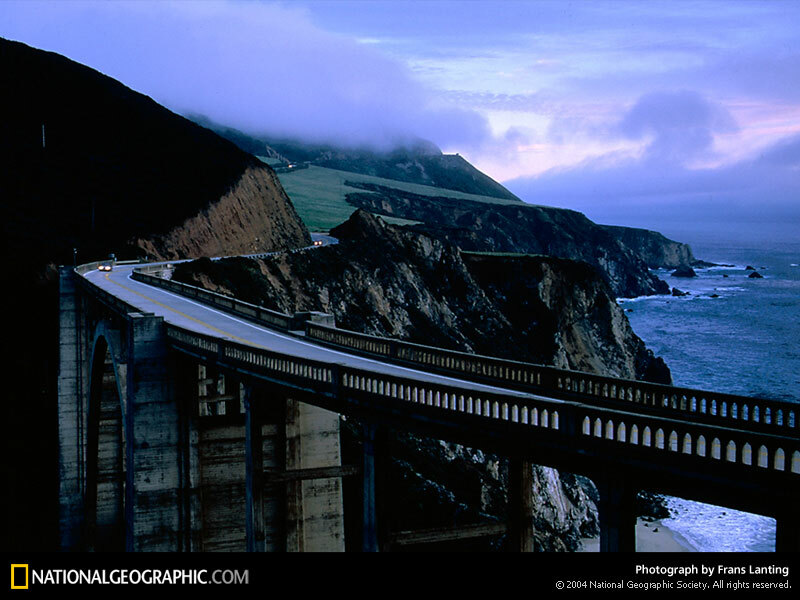 California's scenic Highway 1 is the only road through the Big Sur region. Travelers, like residents, go from where they are to almost every other point in the region on Highway 1. 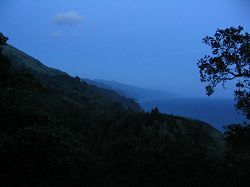 As a result, it is convenient to describe Big Sur's points of interest to the traveler as points along the line of Highway 1 take a look at the bottom of page for all the adventures. 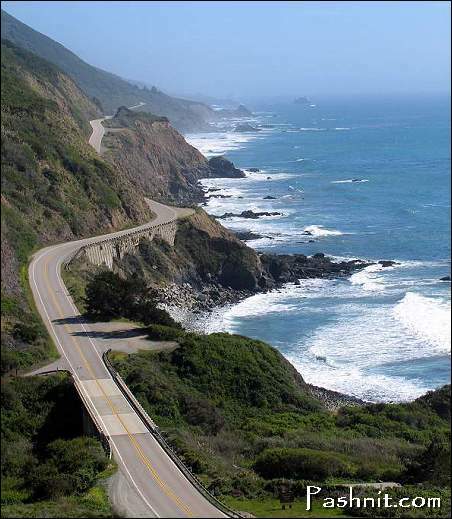 In these Along the Highway pages of this Guide, each major location the traveler encounters along California Highway 1 in the Big Sur region is located and described. Links are provided to the other sections of the guide and to selected relevant sites elsewhere on the Web. Travel the route that hugs the California coast, providing access to austere, windswept cypress trees, fog-shrouded cliffs and the crashing surf of the Pacific Ocean. 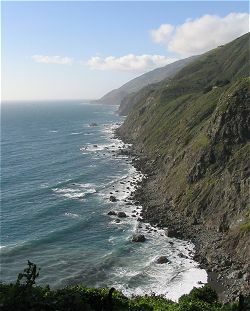 Views include rugged canyons, towering redwoods, sea lions and other marine life. It's almost impossible to get lost while driving California's Highway One along the Big Sur coast. From Cambria in the south to Carmel in the north, a distance of about 90 miles (140 km) the scenic highway hugs the shoulder of the mountains with essentially no exit. The bad news for drivers is that this section of CA Hwy 1 is a somewhat narrow two-lane road that incessantly turns, following the contours of the coastline. Gawkers, curves and frequent stops to appreciate the scenery conspire, resulting in a drive that may yield more photographs per mile than miles per hour. Follow a link to a location that interests you. This list is sorted from North to South.